This car has played a role in the owner's family like that of a crazy uncle, turning the most disinterested person into a car enthusiast. Its purchase was decided after a victorious impromptu race against a Maserati Ghibli. 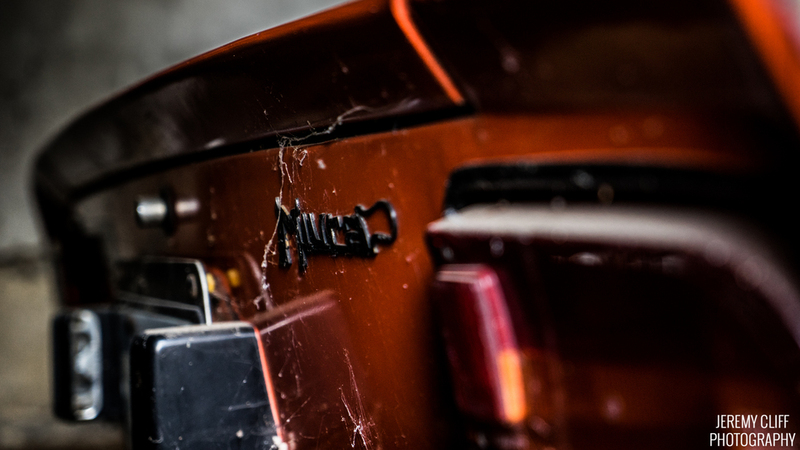 Like all Lamborghini Miuras, the stories and rumors have become the stuff of folklore. 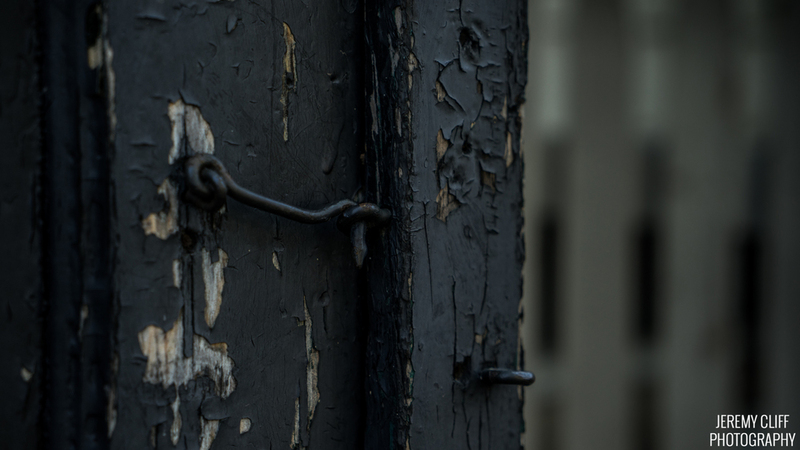 From locals remembering it whizzing by the neighborhood high school, to it being specially built for Wilt Chamberlain, it almost doesn't matter what is and isn't true. The fact is, this is the 46th documented P400. 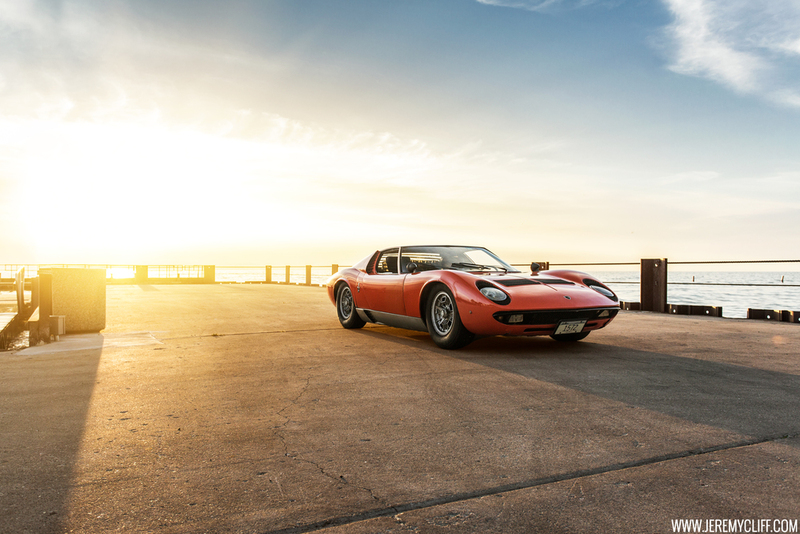 The first handler of this Miura, General Motors, quietly acquired it for American muscle car engineering, styling and inspiration in the late 1960s and beyond. The first time I remember we got the engine going, we still had the rear end off, the headlights weren’t working, it was night and we were working all day. We got it going and driving around the parking lot was such a crazy feeling. 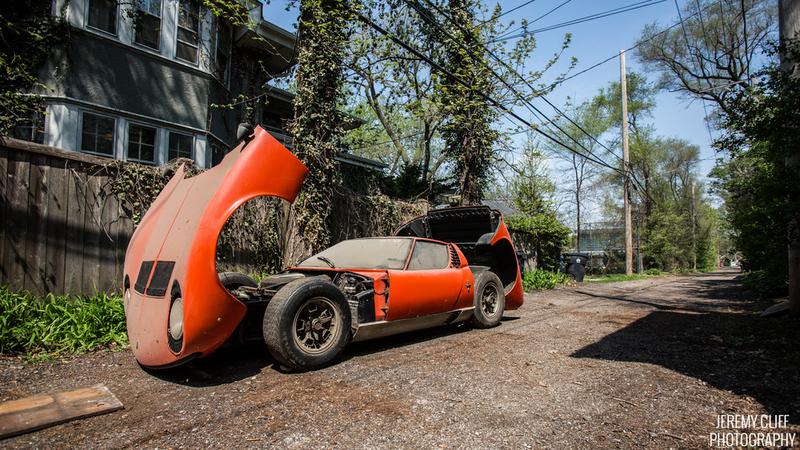 A Lamborghini Miura isn't exactly a common barn find. 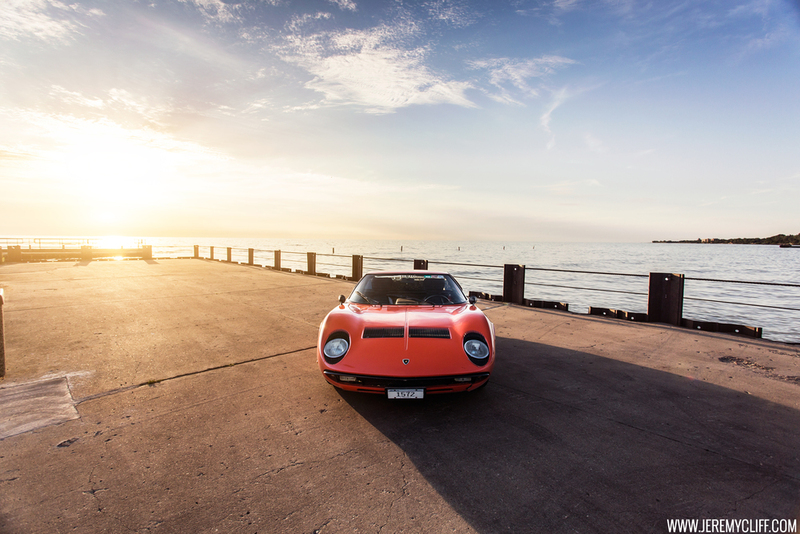 After all, if you own a Miura, you tend to remember having it. 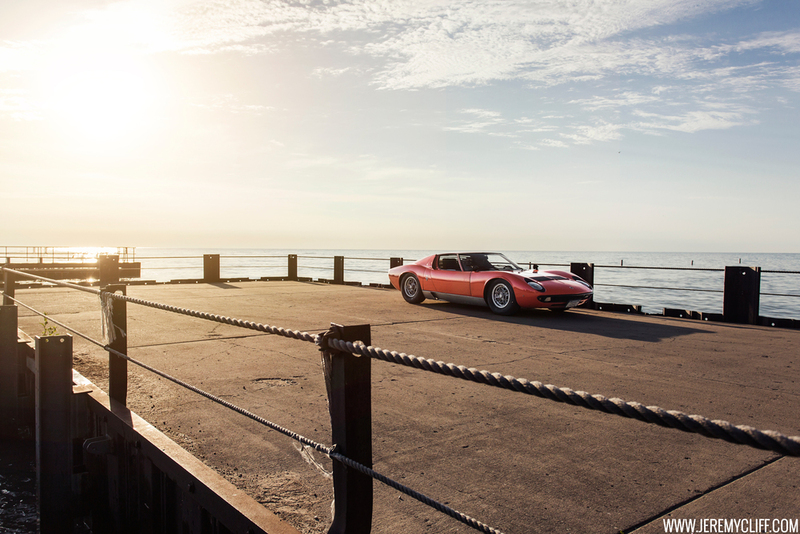 But the rarity of that situation (combined with the rarity of the car itself) is part of what makes this particular Miura so special. 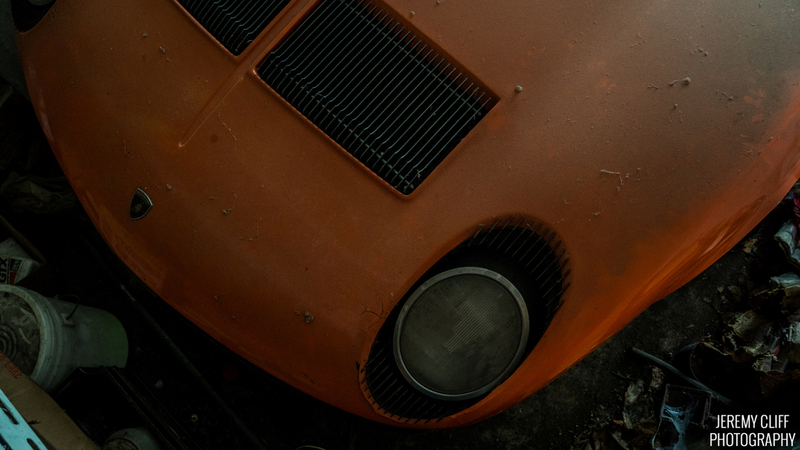 Over 20 years ago this Lamborghini Miura was pulled into a small Chicago suburb garage for a brake job and never left. "Do you still want that car?" Um, yes. 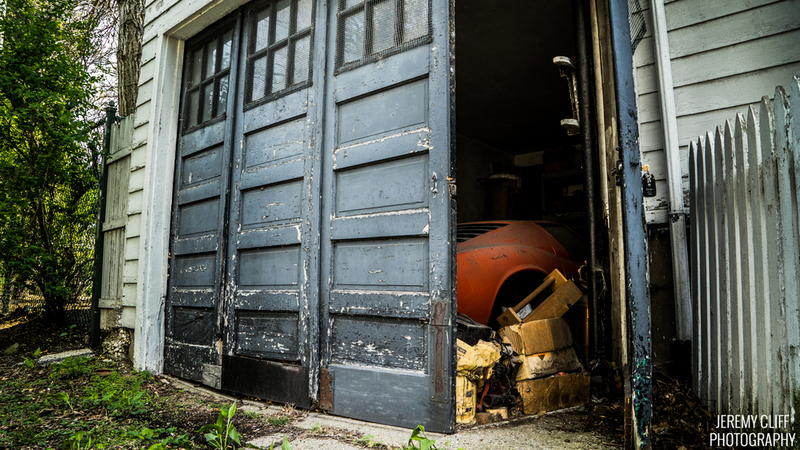 "That car" is a 1967 Lamborghini Miura, and it had been on blocks since 1988 in his grandmother's cousin's garage since 1988. 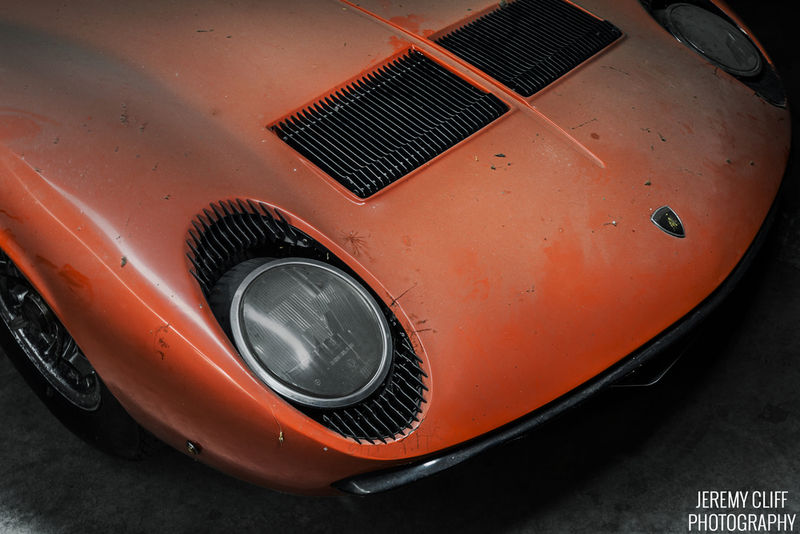 One car that stole many hearts at The Quail 2016 (also in a good state of preservation, although less prepared and, in certain areas, almost neglected) was a very original 1967 Lamborghini Miura P400 in Rosso Miura. 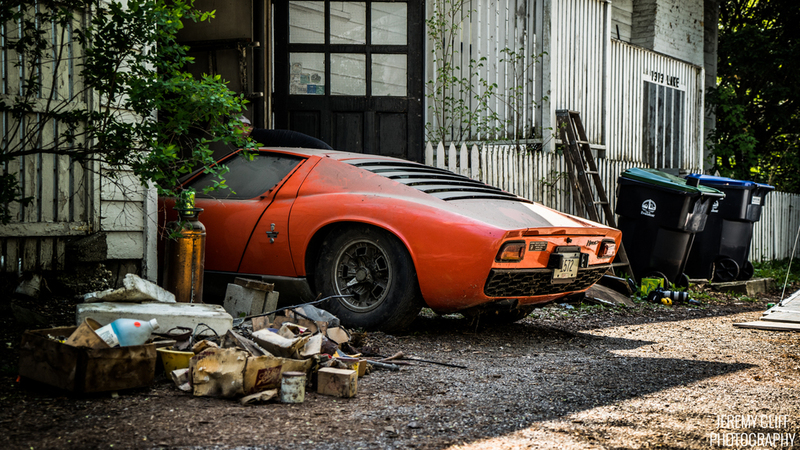 It is almost impossible to find a Lamborghini Miura in a barn. 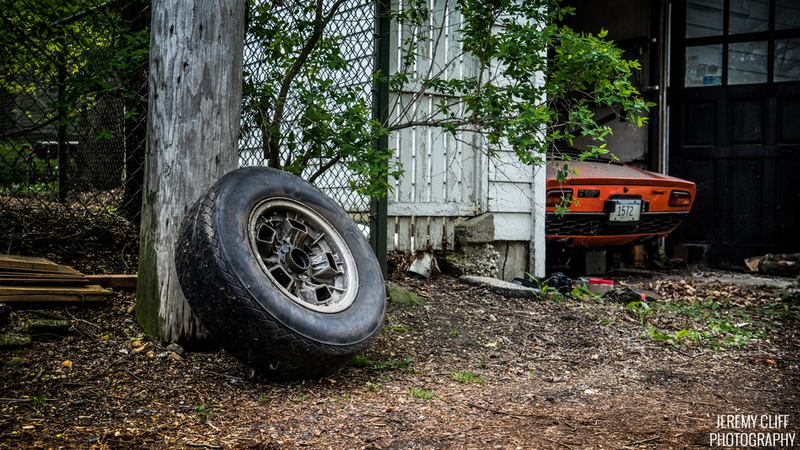 After all, who wouldn’t remember owning this dynamic machine? The rarity of the situation is what makes this car so special. 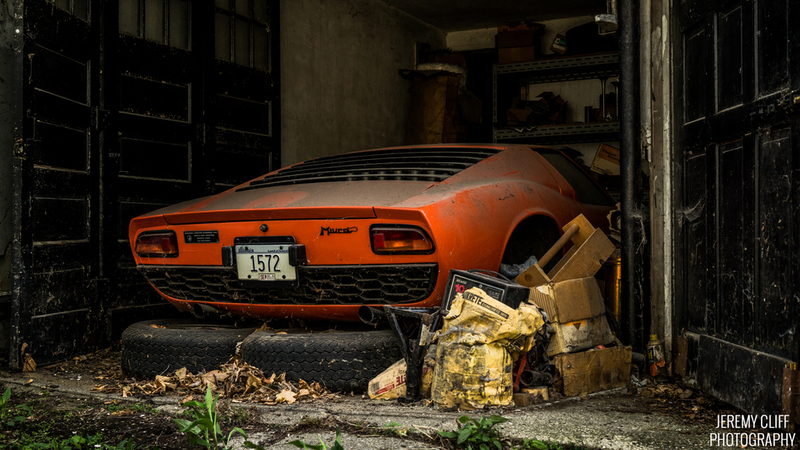 Lamborghini Miura unearthed after decades in a barn! 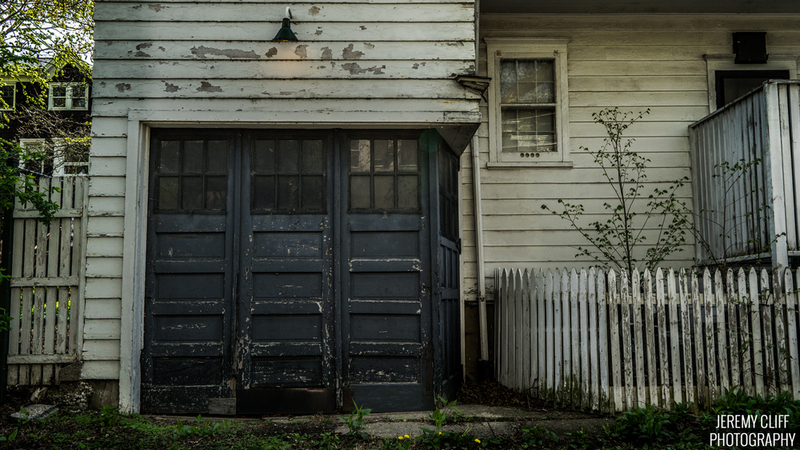 After 40 years of private slumber, it made it’s unrestored patina debut on it’s original owner’s 90th birthday. Yes it took months bring it back to life, but in true Fuelfed spirit, it was driven on it’s 45 year old tires to Winnetka for all to see. A video of the trailing end of Coffee & Classics in Winnetka back in September 2015. 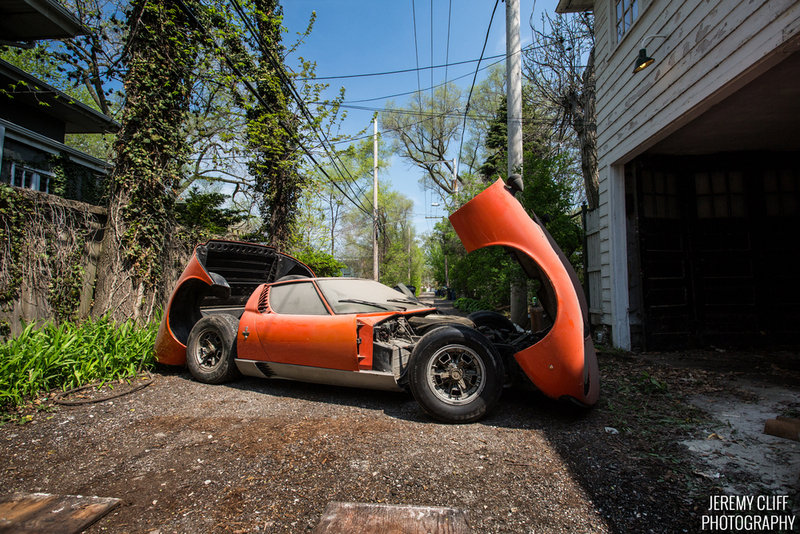 Besides the 70 Ferraris that were parked on east Elm, the famous Wayne Carini Miura garage find made its debut.